Secure Digital cards are very delicate to handle. Some simple mistakes make your SD card inaccessible and unreadable. If you are facing such issues with your memory card, then you are at right place. Here I have listed out some simple fixes and methods to get back your data from your unreadable or corrupted Secure Digital card on Windows/Mac. If your SD card is not readable on the current device due to corruption, then don’t lose hope. Attach it to other devices and try to access. In case, your memory card doesn’t show up on any device, try the next method. If you able to access it after chkdsk run, then recover all your data from it. If you’re getting “Please insert the disk into drive E:” message when SD card connected to your system due to corruption. Then go to System Settings and assign a drive letter to your memory card manually. It may solve the issue. 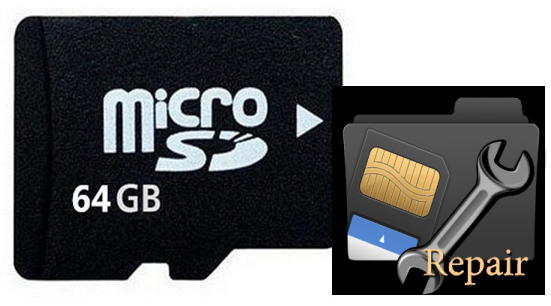 Extra Info- If you want to restore files deleted from SDHC card, SDXC card or any other types of SD cards, then use Remo Memory Card Recovery tool. It recovers data from any type of memory card in few minutes. If you are unable to fix and recover data from any of the above methods, then format the memory card to reuse it. And use Remo Memory Card Recovery tool. It helps to recover data from corrupted memory card. Few simple steps and all your data will be back. These are few simple methods to fix corrupted memory card and to recover data from it. Sometimes, you might fail to access memory card when it is write protected. In such cases, you have to follow steps to remove write protection from memory card. If you don’t want to get into this kind of situation, then handle memory card with care. Never remove your memory card abruptly and don’t use the same memory card in many devices. ‹ How to Make Use of Picasa to Store and Organize Your Photos?